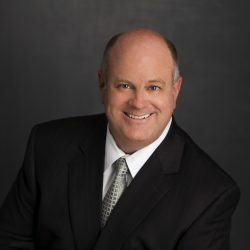 Mr. Young has extensive experience in the automotive manufacturing industry, having handled large cost recovery cases involving defective assembly parts and recalls. In addition to his business litigation practice, Mr. Young represents a number of Texas municipalities in various litigation-related matters, including labor and employment arbitrations, civil rights actions, and commercial contract cases. Mr. Young has frequently represented clients in arbitration proceedings, having tried more than 50 arbitration cases administered by a variety of organizations and agencies. Recovered $30,000,000 for a class of 2.5 million consumers against a Fortune 500 internet company. Obtained and collected an arbitration award of more than $25,000,000 in favor of major automaker arising from supplier’s delivery of defective automotive parts. Obtained an arbitration award in favor of client in a business valuation case, saving client $30 million in the purchase of a large manufacturing business. Successfully defended a Fortune 500 company in a $90 million suit brought by a major securities company’s affiliate arising from a complex sale/leaseback transaction involving the client’s corporate headquarters building. Won appeal on behalf of commercial tenant establishing significant precedent requiring precise demand from landlord prior to lease forfeiture. Outdoor Systems, Inc. v. BBE, L.L.C., 105 S.W.3d 66 (Tex. App. Eastland 2003).